The New Year has many things to get excited about for Elysium Magazine. 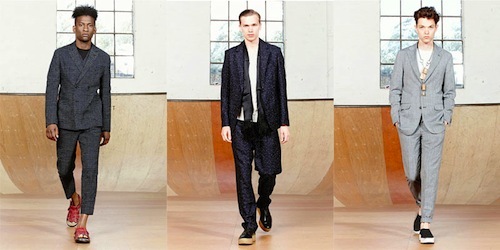 Of all that is hotly anticipated in 2014, those discerning gents of the sartorial mind (that’s all of you then) will have the eyes on one event in particular – London Collections: Men (LC:M). 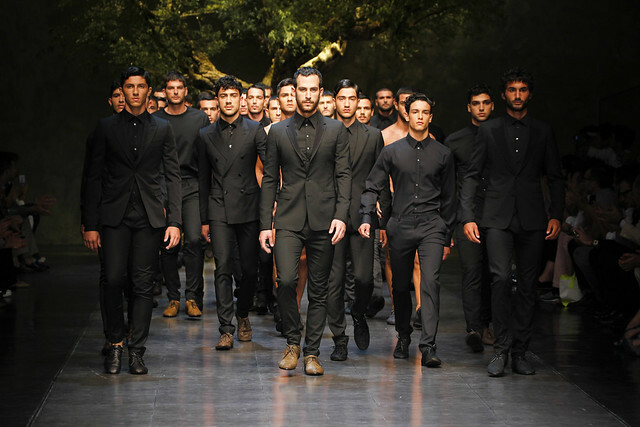 Style is high on the agenda in early January as this calendar favourite kicks things off in the capital. Elysium Magazine picks out three designers to keep close tabs on as they showcase the latest Autumn/Winter 2014 looks during the three day style fest starting today. The father-son duo look to bring their signature look to the LC:M catwalks and it’ll be one the discerning gent with a flavour of fused tailoring and London street culture needs to keep an eye on. Known for fine craftsmanship and adopting new design technologies, this is also one for international audiences to. 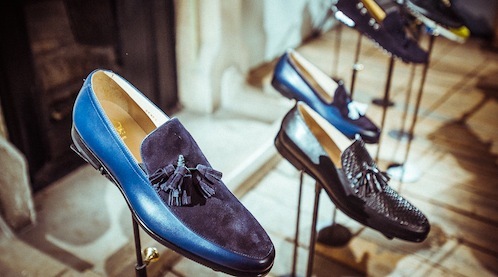 Discerning gents with a penchant for stylish shoes need to check out the very latest from Mr Hare at LC:M. The shoe brand, born out of inspiration whilst on holiday in Andalusia, Spain brings the finest in formal and casual leather footwear to the style table. Why do you need to take note – because a pair by Mr Hare could very well be the ones you wear on the party circuit come the end of the year. 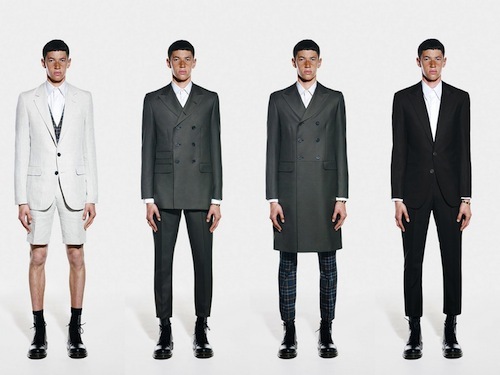 British designer, director and photographer Adrian Sauvage brings his line of menswear to LC:M to much fanfare in 2014. A label known for its emphasis on classic cut and casual elegance, it’s one the discerning gent with a taste for high fashion needs to keep his sartorial tabs on. One final note, David Gandy – male supermodel and one of the Elysium Magazine Men of the Year 2013 – will again be flying the flag for British style during the next three days. You’ll do no wrong if picking up style cues from this discerning gent.